The ice breakers were agonizing. 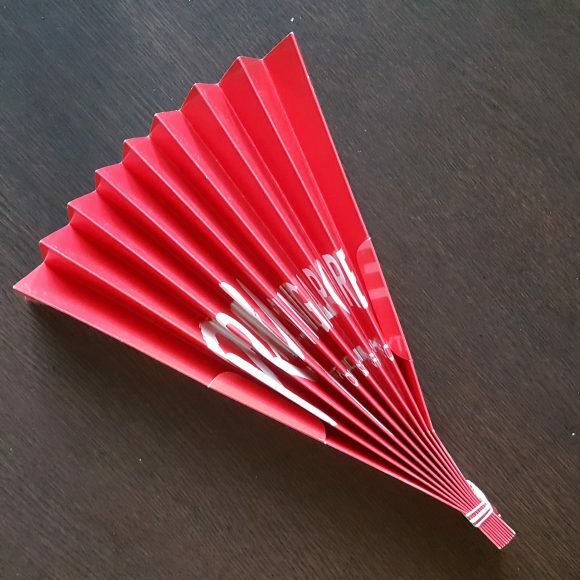 One flat bonding activity after another. Immovable as a pew I stayed rooted to my seat. It was not the right attitude to have at the commencement dinner of the 2012 Love Singapore Pastors’ Prayer Summit. It was not because Ps Eugene Seow, the king of icebreakers, has handed his wand to a new generation. It was refreshing to see twenty- and thirty- somethings on stage: a new generation of pastors. 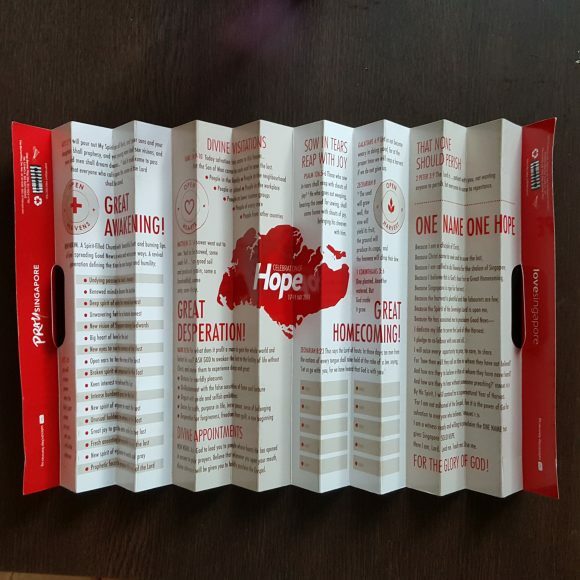 The greyheads should be applauded for this initiative. But 45 minutes to get you acquainted with others and to get everybody seated with someone they don’t know was just too much for this introvert! The reason I was there was because I heard we would spend time as a corporate body waiting on God and listening. David Demian is experienced in this and would be guiding and showing us the ropes. 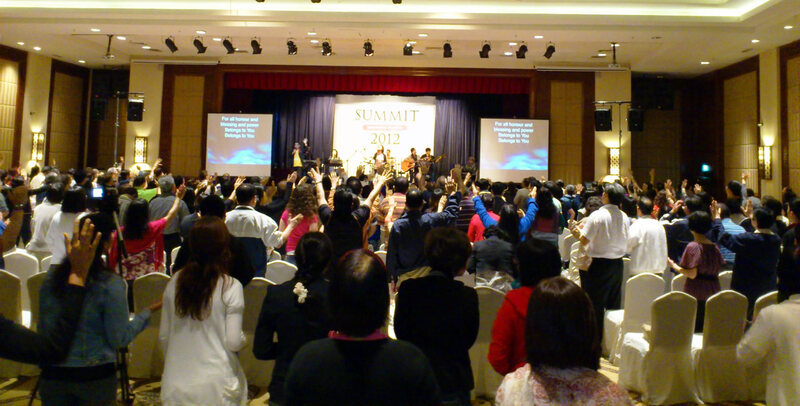 We Singaporean Christians are very comfortable and confident (too confident!) 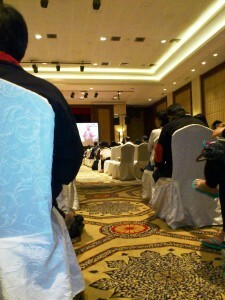 about our abilities in strategising, marketing and planning church programs and events. Indeed we do not need the Holy Spirit to keep our churches running efficiently (sometimes He is a hindrance to our plans!). Our church calenders has to be crammed with activities and programs or it would leave a feeling of frustration, guilt and idleness. Disquiet is what I would feel. Maybe a holy dissatisfaction. Is there something more? The book of Acts demonstrated how the Spirit was involved in directing the “fishers of men” to where the fish were. Every new spurt of expansion and spread of the gospel was initiated by the Spirit and not from “successful models”. The Spirit spoke. The Spirit checked. The Spirit fell. 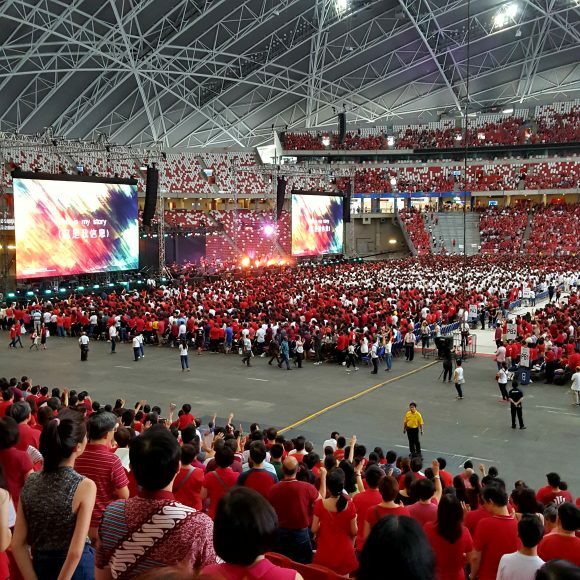 Can there be more space for the Spirit to lead the Singapore church, a church so married to modernity, that they are more conversant with Peter Drucker than the voice of the Spirit? So I came wanting to see if there is a way to give more space for the Holy Spirit in the leadership of the church. It was not easy for pastors and leaders of all kinds of persuasions to fully enter into what was intended by the Pastors’ Summit leadership. After a period of corporate worship we were instructed to wait in silence before God and ask, Lord what is on your heart for Singapore? We were to write down what the Lord laid on our hearts and pass down the message to a panel of pastors called a “table of discernment” and they would share with the larger body or act on what they discerned. Silence can be deeply disturbing for us hyperactive pastors. Waiting seemed so unproductive, a silly waste of time, even if it was waiting in prayer in the presence of God. This was evident in the first session, but less so in the second session. My takeaway from the summit was one of possibilities. Can this possibly be done at leadership prayer times to seek the Lord and inquire what is on his heart for the church? Sounds like Acts 13: 1ff. The thought of it is at once intoxicating and intimidating. I left feeling like a gold prospector that has found a gold vein. I hope I will not be like the villagers of Kampung Melayu Majidee, in Johor, who elated that they had found “gold nuggets” on a street, were later disappointed by hard reality: what they had shining in their hands was iron pyrite – “fool’s gold”. By the way, preachers, there is a sermon illustration in that report. Jack Hayford. That name alone should pull in quite a crowd of senior pastors and staff. Jack Hayford was the senior pastor of the Church on the Way, a Foursquare Church at Van Nuys, California. Most people would know the song he composed, Majesty, worship His Majesty. 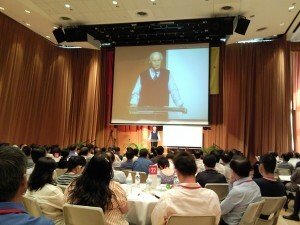 Over a hundred pastors were at Trinity @ Paya Lebar to attend the Love Singapore Pastors’ Forum. 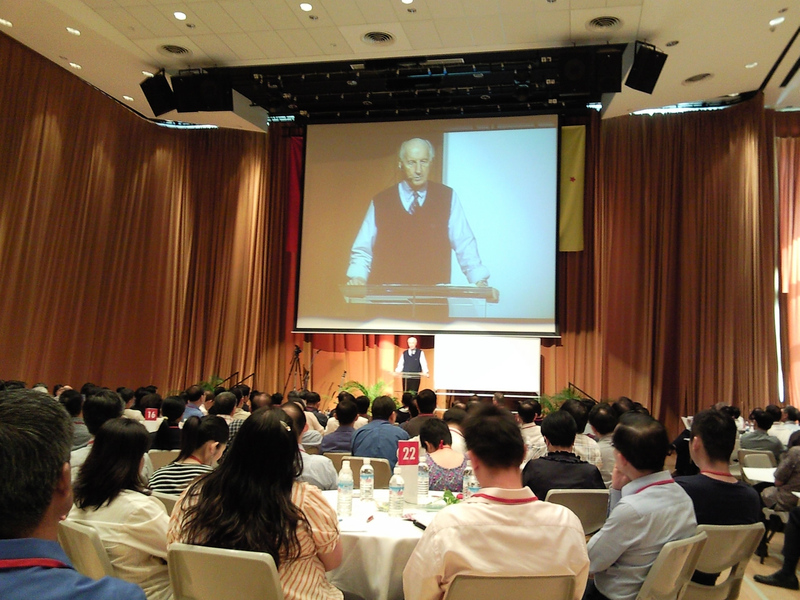 Jack Hayford talked about the need to focus on the essentials and to avoid jumping from one new methodology or model to another. Don’t go for the numbers, he says, but work on the essentials. All his years as a pastor he never had numerical targets. Its not about acquiring people but discipling the people the Lord sends. The essentials were birthed out of his experience. They are: 1) work on a discpling plan to teach and incarnate the word among the people; 2) develop the worship life of the church as it opens the people up to the Spirit’s presence and power; 3) cultivate a ministry focus, releasing people to minister outside the church building; 4) and have a prayer strategy, of which he had no time to elaborate, or I dozed off.